Eastfield Cottage is part of Chesterhill Old Farm, which was built in the early 1800s and was used as a working farm. 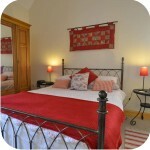 Brought into the 21st Century, Chesterhill Old Farm Holiday Cottages have been lovingly restored. 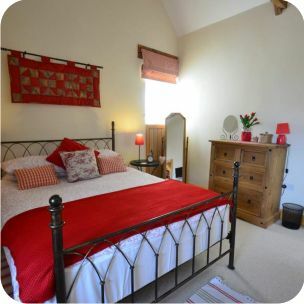 Conveniently located in rural Northumberland, just a mile from the A1 in between the Market Towns of Alnwick and Morpeth, these recently restored barns can sleep up to 4 guests on a weekly basis. The entrance to the Cottage is through a large arched window/door at to the front of the property showing the magnificent views of the countryside and beyond to the coast. 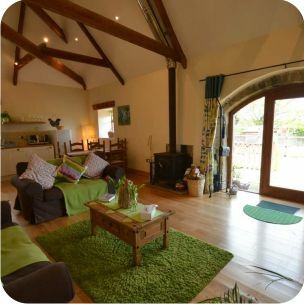 The whole open-plan living area has a beautiful solid wood floor, high ceilings with exposed beams and a state of the art wood burner to provide a cosy feeling on those cold winter days. There is a wonderful feeling of airiness and space with seating for 4 guests on comfortable sofas, ideal to sit back and relax in front of the TV whilst watching a DVD or listening to music on the CD player or iPod dock provided. 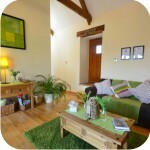 Becky has lovingly renovated the barns at Chesterhill Old Farm to an incredibly high standard. 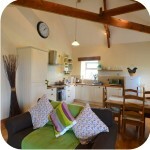 You can really feel the care and attention to detail that has gone into these two wonderful Cottages. Being on a farm is great for the family, the chickens, ducks, goats, rabbits, sheep and doves will entertain the kids for hours. The kitchen is spacious and very modern with a classic country style solid oak worksurface, plenty of cupboard space, an electric hob and cooker, integrated dishwasher, integrated washing machine, microwave and a fridge freezer. 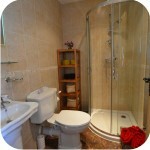 All the china and utensils you could possibly need for your self-catering holiday are also included. A large 6ft dining room table chairs finishes off the dining area ideal for those family meals or a candlelit supper for two. The Master Bedroom has exposed beams to the ceiling giving a light and airy feel to the room with its own en-suite bathroom with corner shower, heated towel rail, sink, toilet, and with luxurious tiles from floor to ceiling. 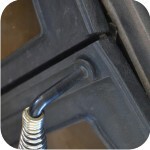 A travel cot is available upon request(please provide your own cot bedding as not supplied). 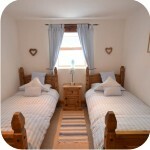 The second bedroom is a twin with two single beds. 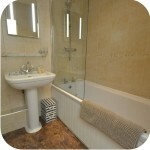 The main bathroom in the property has a bath, overhead shower, toilet and sink, an electric towel rail and it is tiled from floor to ceiling. The farm location is perfect for a family holiday, the kids will love saying hello to the animals which include chickens, doves, goats, jacob sheep, ducks, rabbit and of course our three lovely dogs. Parking is abundant with plenty of space for two cars next to the Cottage. There is also a beautiful decked area with patio table and BBQ ideal for those summery nights and enjoying the views across the countryside. Becky will spoil you with a weekly supply of clean linen and fluffy towels upon arrival with a welcome pack consisting of bread, fresh free range eggs from our chickens, small bottle of wine per person, tea/coffee, milk, orange juice, fresh flowers and complimentary toiletries (soap, shampoo & conditioner) sourced from Studley Cottage Soaps. All electricity and gas is included in the price. One well behaved pet is welcome to stay, however there is strictly no smoking inside the Cottage. 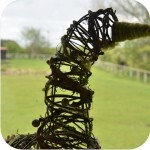 I grew up in Swarland so I know just how convenient the location is as a base to discover Northumberland! You're just a short distance from the A1 in the centre of the County so you can access all the main attractions really easily. Nearby Felton has two great places to eat and the Heritage Coastline is just a short drive away, perfect! 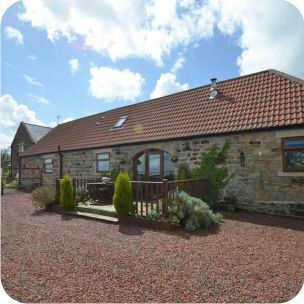 Chesterhill Old farm is located on the outskirts of the Village of Swarland, just a mile from the A1 between the Market Towns of Alnwick and Morpeth. 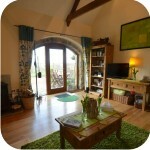 This central location makes Eastfield Cottage the perfect base to discover Northumberland. It's just a short drive to Alnwick or Morpeth, with famous attractions like Alnwick Castle (the home of Harry Hotspur and more recently Harry Potter - used as a set for Hogwarts in the films) and the stunning Alnwick Garden. A short drive inland and you're in the heart of Northumberland and the beautiful Northumberland National Park with the rolling Cheviot Hills, Cragside House and Gardens, Wallington Hall and Chillingham Castle. The same distance in the opposite direction and you're enjoying the beautiful golden sandy beaches of Northumberland's Heritage Coastline, an Area of Outstanding Natural Beauty. Mile after mile of stunning beach, rocky coves and more dramatic Castles than you can shake a stick at! From Warkworth and Bamburgh Castle to the majestic ruins of Dunstanburgh, there are so many days out that one visit simply won't be enough! Wildlife lovers are spoiled - not just with the varied animal life on your doorstep - but in the srrounding regions with the Farne Islands (puffins and seal sanctuary) making a wonderful family day out. Changeover day for this property is a Saturday. This property does not accept short breaks. There is a minimum booking period of 7 days on this property. If you would like to avoid paying card processing fees we also accept payments via online bank transfer and personal cheque. Please contact us by email or telephone in order to make a booking using one of these payment methods.